When you find an Expert Renovation Team with the experience, vision and skills to handle any size project with grace, you have hit the jackpot. This is what you get with the Licensed Remodeling Contractors at Bannochie Builders, Inc. We are a Minnesota family owned and operated business that is celebrating our 20th year of providing quality construction and remodeling services. Our team is just as comfortable with a minor home facelift project as it is with adding a whole new level to your home. Check out our gallery of past residential services to see the quality and scope of our work. 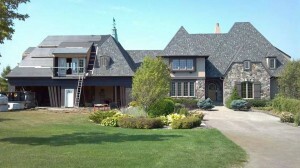 Over the years Bannochie Builders, Inc. has been a proven top quality licensed remodeling contractor. We can handle any size job and finish the project on time, on budget and on point. Our expert renovation team has the expertise to overcome any obstacle that may stand in the way of transforming your home into what you have always dreamed it could be. Each project we take on is tailored to fit the specific needs of our clients. Bannochie Builders, Inc. will handle obtaining all necessary permits and communicate with you during the entire remodeling process. Bannochie Builders, Inc. is a Licensed Remodeling Contractor that provides all types of residential services. Our expert renovation team will lend our expertise to your quality construction and remodeling projects. We are highly experienced and offer affordable services for projects both large and small. Contact us today for a Free Estimate on home additions, residential remodeling services or complete home transformations. This entry was posted	on Thursday, January 15th, 2015 at 11:11 pm	and is filed under Home Remodeling. You can follow any responses to this entry through the RSS 2.0 feed. You can leave a response, or trackback from your own site.